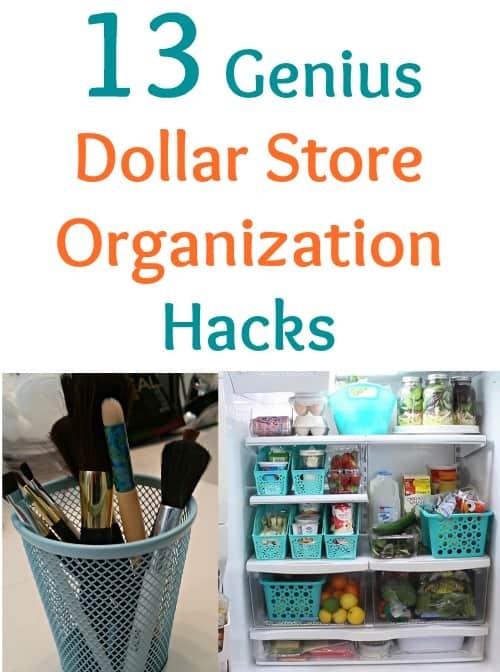 I love using Dollar Store organization hacks to gain control over my clutter once and for all! 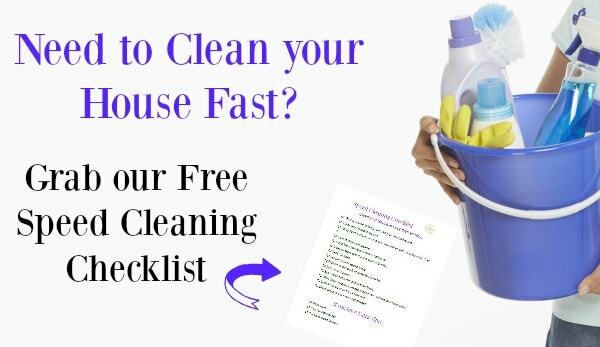 It’a great way to save money and still get your Spring cleaning groove on. I love the fact that these ideas are simple and affordable. Best of all, you can really get creative and turn those drab dollar store finds into something beautiful! I love how The Country Chic Cottage turned this simple shoe organizer into a clever gift wrapping station. Between Christmas and birthdays, the wrapping paper can quickly take over much needed space in your closets. This is a genius way to store it. 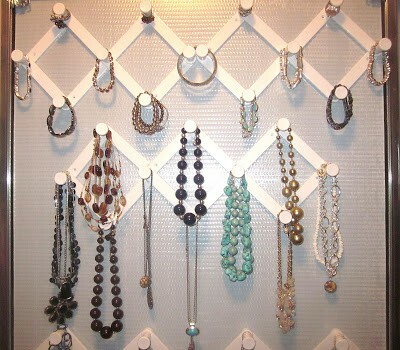 Take this idea from Adorable Antics and turn a simple accordion hook into a beautiful jewelry holder. You can easily see and find everything you need and the necklaces don’t tangle! You could even spray paint them to make them fit your specific decor. I love this idea from I Should be Mopping the Floor! 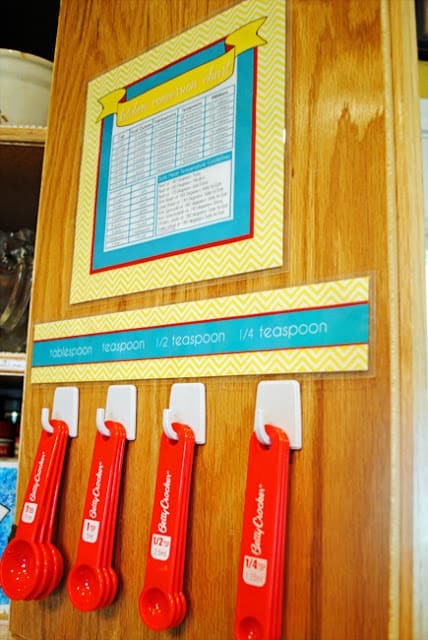 It’s a great way to keep all of those measuring spoons right where you can find them. I don’t know how many times I couldn’t find the one that I needed for my recipe. You can even download her conversion chart and spoon printable to make your door look as cute as this. 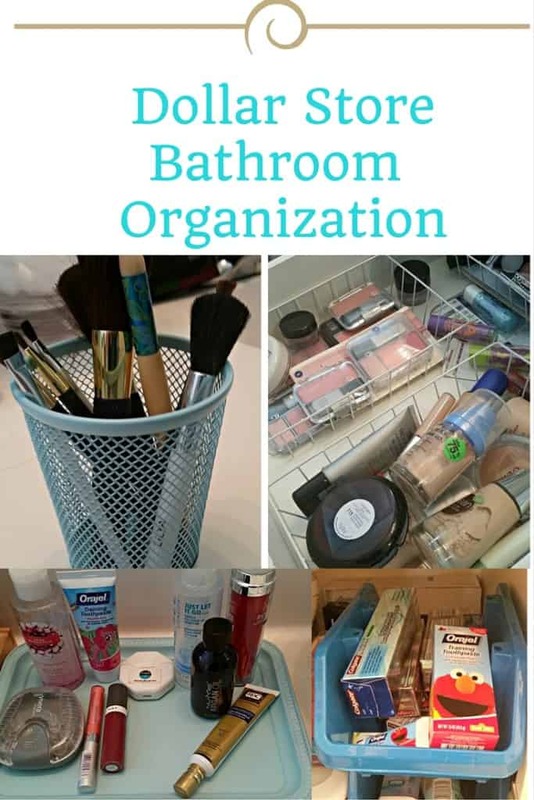 I did a dollar store bathroom organization on my sink and drawers by using some simple dividers, storage bins, tray, and pencil holder. I spray painted the sink items so they would match my decor perfectly. All for only a few bucks! 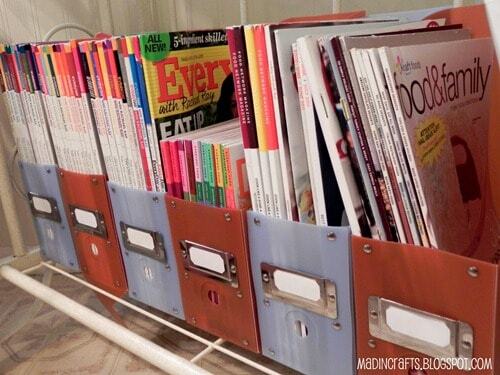 I love how Mad in Crafts took some simple file folders and turned them into magazine organization. You know you don’t want to throw away all of your Food Network and Rachel Ray cooking magazines! If you are looking for ways to stock up on your food magazines, check out how you can get them for free! 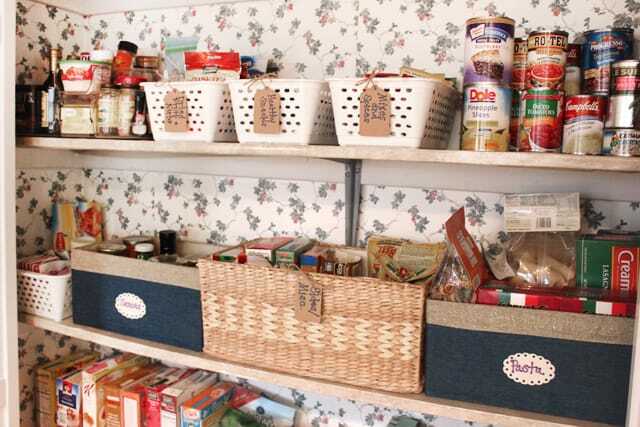 I love this inexpensive pantry makeover from How to Nest for Less. I love how she took some simple dollar store organization items like contact paper and simple bins to really get this pantry in order. You may not be able to find the bigger baskets at the dollar store but you should be able to find the smaller ones. I love this idea from The 2 Seasons. I never have enough room in my cabinets for pots and pans. 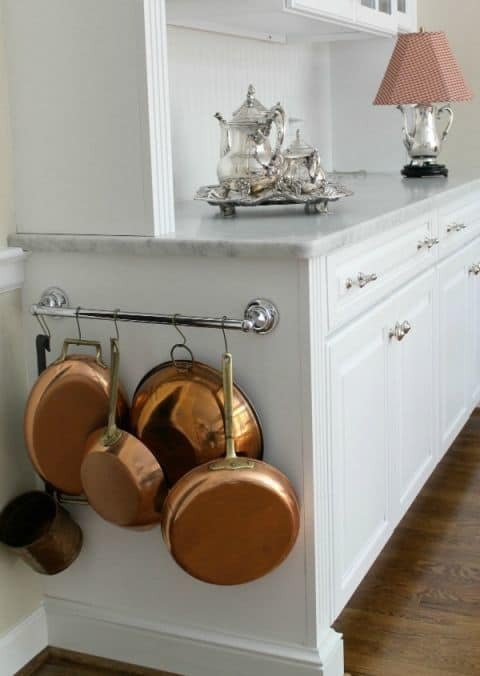 Just take a towel rack and some hooks to create more storage in your kitchen! 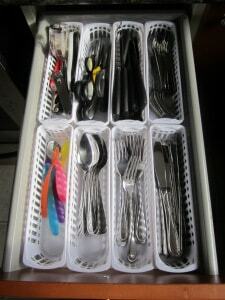 The Elm Life had a smart idea and took some organizing sections from her dollar store and created her own utensil holder. I always need more sections than the four or five that they give you! This would be great for junk drawers, too! 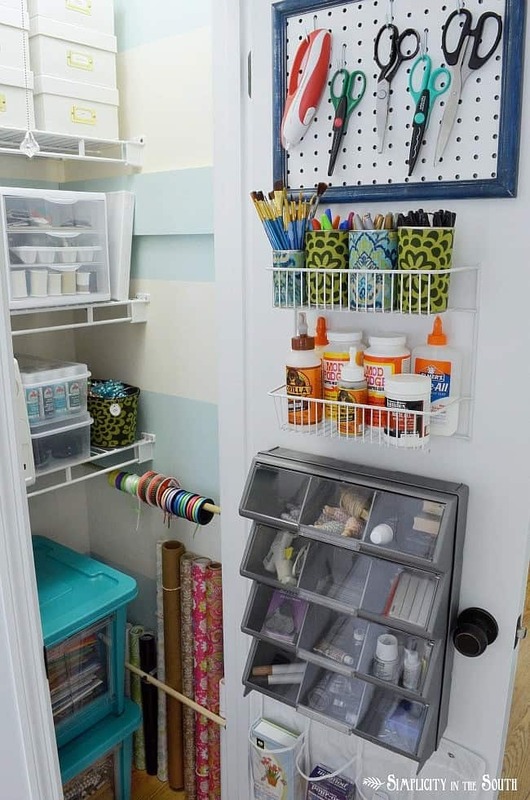 If you are a crafter, you have to see how Simplicity in the South organized her craft closet. She used several items that you can easily find at the dollar store to tackle all that mess. I don’t know about you, but my fridge is a hot mess! 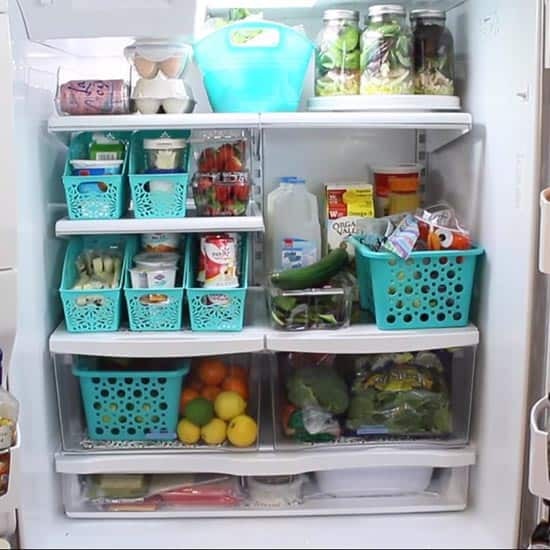 I love how Better Homes and Gardens took some simple mason jars, bins, and file folders to really create an organized kitchen. This will even help cut down on food waste since you will be able to see everything! I love this simple craft idea from What Treasures Await. It’s great to add more storage to your counter tops. 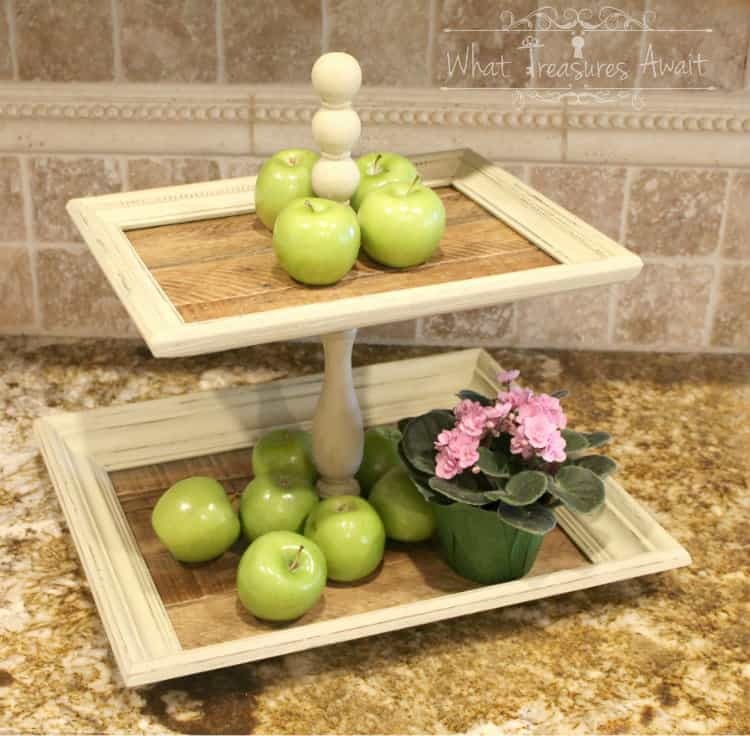 She simply used 2 picture frames and a candle holder to create this cute tiered tray. I love this dollar store organization hack from Crafts all Over. 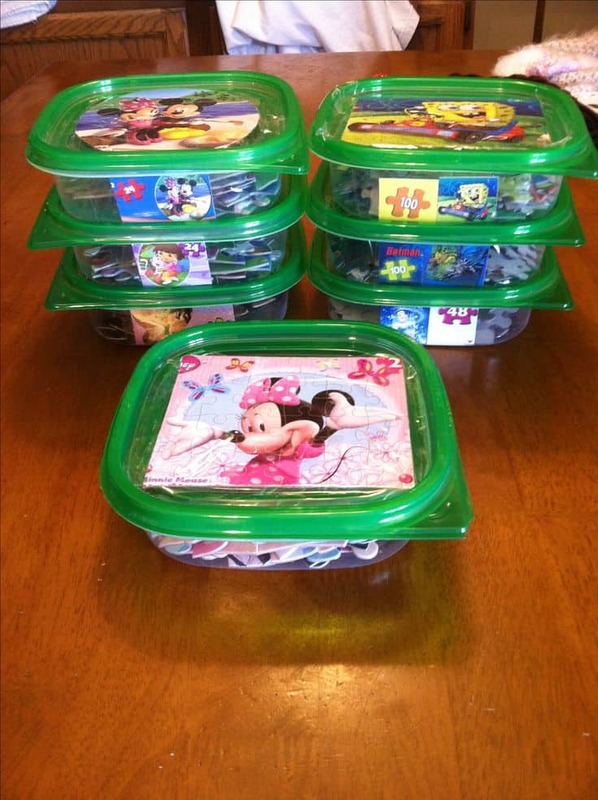 Simple take some small plastic storage containers to round up all of your kids’ puzzle pieces. It’s harder for the pieces to get lost and thrown all over the floors. You can use this for card games or small board games as well. 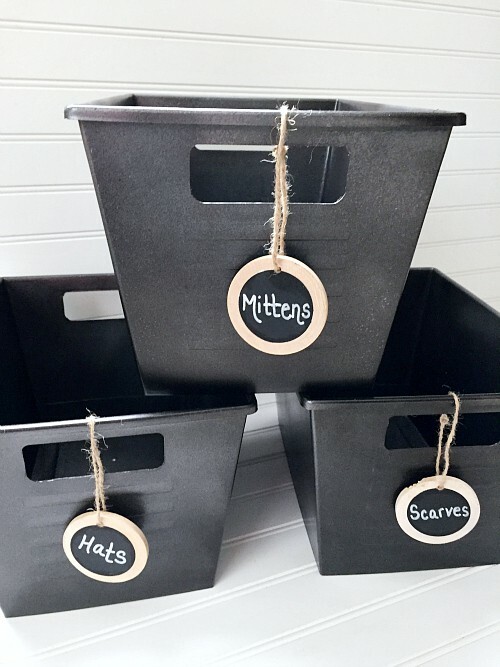 This idea from Lemons, Lavender, and Laundry is another great example of how to turn those ugly cheap bins into a one of a kind storage solution. It’s a lot cheaper than paying full price for one already made. 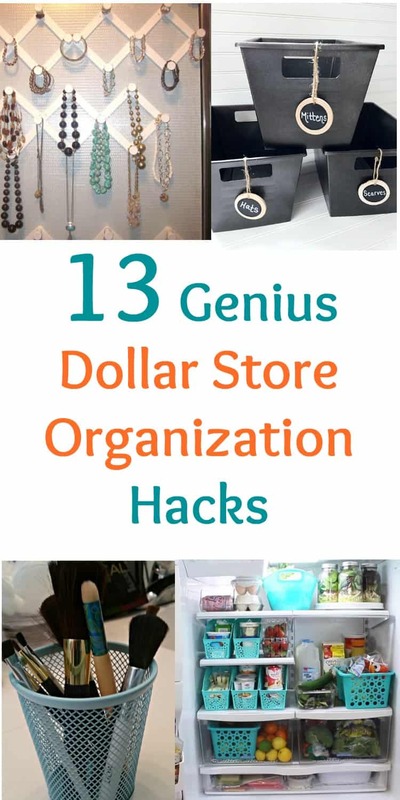 I hope these dollar store organization hacks have given you some great inspiration. I can’t wait to get started sprucing up my home for less. Remember that different dollar stores will have different inventory based on location and time of year so it’s always a good idea to check in at least once a month to see all that they have to offer. 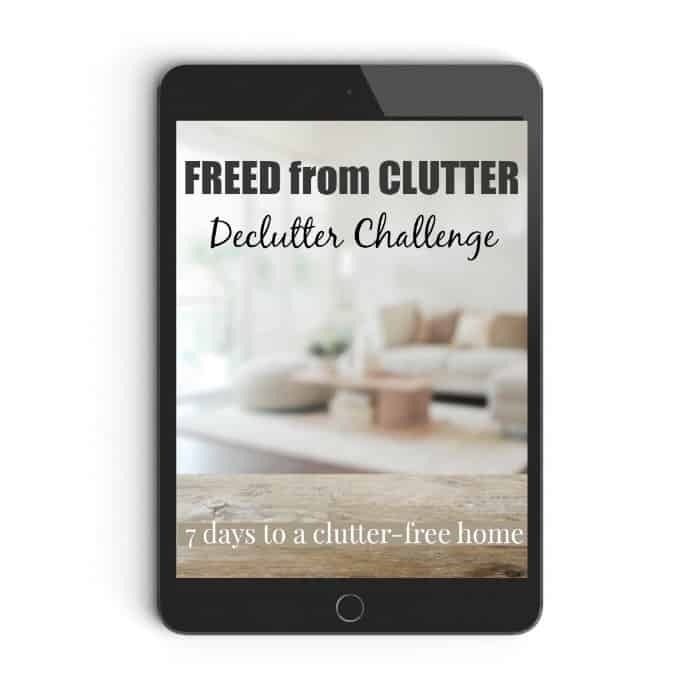 If you need more help getting control of the clutter or just want more of a support system and someone to hold you accountable, my friend Becky, has a great Declutter Course that you may want to look into. She offers a plan, worksheets, downloads and more to help you get it done once and for all! I love these ideas and will be trying them out. Thank you.